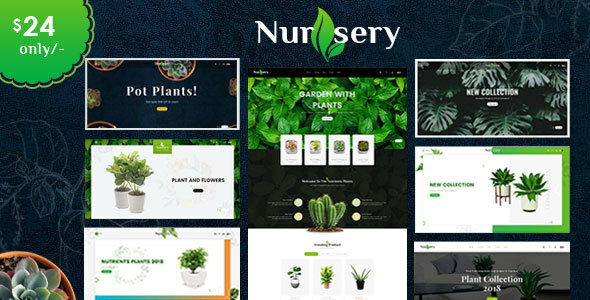 Nursery Plant Shopify Responsive Theme is specialized for Nursery, Plant, Garden, Tools, Equipment, Green, Nature, Flower, Blooming, Farm, Farmer, Art, Craft, Minimal and multi purpose store. Nursery Layouts are looking good with its colors combination and included 10+ unique layouts. More layouts coming very soon. - Fixed miscellaneous css bugs.